Real Madrid are red-hot favourites to secure a third straight FIFA Club World Cup success when coming up against Al Ain in Abu Dhabi. European teams have lifted this trophy for the past five years, with their opponents only managing to score in one of those finals. That makes Evens for the Spanish giants to prevail to nil an obvious Real Madrid vs Al Ain prediction. Gareth Bale scored a sensational 11-minute hat-trick as Real beat Japan’s Kashima Antlers 3-1 in the semis, despite having been doubtful for that clash due to an ankle sprain. The Champions League winners struggled to create chances early on but took control after breaking the deadlock just before half-time, with Marcelo providing a couple of assists. 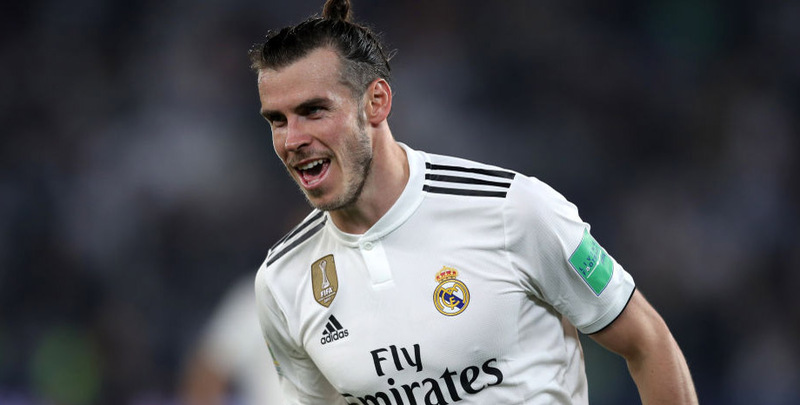 Bale, who was rested for the final half an hour, has now scored six goals in five Club World Cup appearances and is determined to add more silverware to the Bernabeu trophy cabinet. “It was great to score three goals, but the vital thing for me is to get my team into the final,” declared the Wales star. Real will be spurred on by the chance to win the tournament for a record fourth time, having drawn level with bitter rivals Barcelona by obliging in 2014, 2016 and 2017. We expect another convincing victory here and 23/20 for the Whites to win by more than two clear goals catches the eye from the Real Madrid vs Al Ain odds. Al Ain, who qualified for this tournament by winning the UAE league title, are surprise finalists after upsetting the odds by drawing 2-2 with River Plate and then edging out the South Americans on penalties. The hosts also needed a shoot-out to get past Team Wellington in round one following a 3-3 draw in normal time, before brushing aside Esperance of Tunisia 3-0. Sweden striker Marcus Berg hit the target in two of those games and Real will be wary of the former Panathinaikos forward, who also netted for his country in a Nations League win over Russia last month. Real boss Santiago Solari told the FIFA website: “If they got this far, then it’s for a reason. It will be a surprise if the Whites do not prove a class apart, though, and 7/1 for them to win 3-0 again completes our Real Madrid vs Al Ain betting tips.